Michelle Money was on the Brad Womack season of The Bachelor (2nd one) and she is currently on Bachelor Pad 2. This time around, she seems much more grounded and together than she did the first time we saw her. At the beginning of this season, Money revealed that her father was dying of colon cancer and that she wanted to win this season and use the money for cancer research. 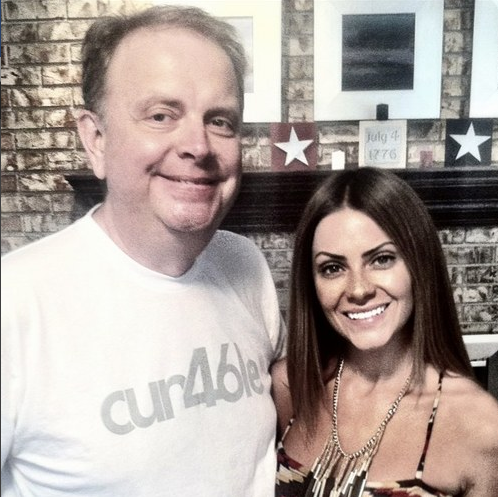 Sadly on Sunday, her dad, Scott Edward Cartwright lost his fight with colon cancer. Our hearts, thoughts, and prayers go out to Michelle and her mom during this tragic time. This pain is unimaginable. We are so sorry for your losses.